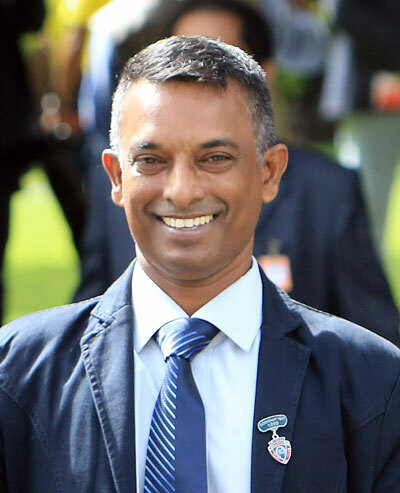 Praveen Nagadoo became the third ex-jockey to obtain a Trainer's License in Mauritius, following in the footsteps of Simon Jones and Preetam Daby. As a jockey, he rode 60 winners, including 3 classic races (Bold Statement - 1994 Barbe Cup and 1994 Duke Of York Cup; and River Run - 1996 Maiden Cup), and he will be looking to have a great career as a trainer as well. Even if 2018 was his first year as a trainer, he had gathered a lot of experience since he retired from riding in 2002. He was ''Stable Supervisor'' to the Fok, Gujadhur and Jean-Michel Henry stables, before becoming assistant-trainer to Shyam Hurchund last season. It can be said that his debut season as a fully-fledged trainer was not a bad one, as he scored 8 wins, 3 of them coming with Toa Nui. He will look to progress in 2019.